Are you looking to increase brand awareness, business visibility, and ultimately increase your bottom line? 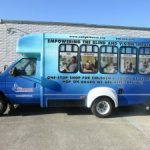 With custom vehicle graphics by ImageTEK Signs & Graphics, you can accomplish those goals and much more! 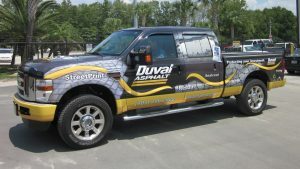 We create all types of vehicle graphics for brand and business identification, from full auto-wraps to partial-wraps, vinyl lettering, and graphics, we have the solution you need to increase your business visibility. 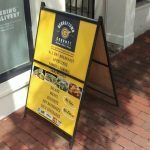 Vinyl graphics are a fantastic way to introduce your business to your community, simply by going about your daily routine. 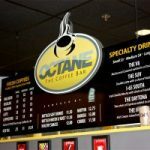 Whether you’re going to work, sitting at a coffee shop, or headed home for the day, your custom vinyl wraps, graphics, and lettering will inform your potential customers that you’re business exists and provides them with the necessary information to contact you! 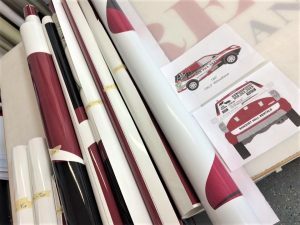 As your local full-service signage shop, we handle every aspect of the vehicle graphics process. From initial design concept through expert fabrication and professional installation, our dedicated team is eager to show you how our custom, vehicle graphics can help improve your visibility and help your business reach new market success. We provide the affordable sign & graphic solutions you need, when you need them! So when you need a reliable sign shop, ImageTEK Signs & Graphics is the right choice! Call ImageTEK Signs & Graphics today at (201) 351-8755 for your Free Consultation! Transform your business vehicle into a powerful mobile advertising tool! There is no better way than with attractive vehicle wraps, custom crafted by ImageTEK Signs & Graphics. Full auto-wraps are by far our most impressive option. This graphic option allows you to completely transform your vehicle into an advertising powerhouse. Working with the natural lines and joints of your vehicle, we can add your logo, branding information, business name, and any other information you want onto your vehicle wrap. This type of wrap completely covers your vehicle and provides a protective layer to the original your vehicle’s original paint job. During your initial consultation, our signage consultants will discuss your vehicle graphic needs, business visibility, and marketing goals. We can provide examples of what a full auto-wrap looks like, and discuss what you need on your vehicle, your budget, and timeframe. 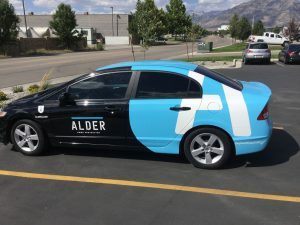 Partial auto-wraps are a fantastic, cost-friendly option that allows you to zone in on specific areas of your vehicle for branding purposes. Whether you are targeting your side panel, hood, tailgate, bumper, the back half of your vehicle, ImageTEK Signs & Graphics will create the perfect visual look that grabs your customer’s attention! When you’re looking to add a logo for brand identification, vinyl vehicle graphics are a cost-effective, attractive way to do just that. You can use your graphic, logo, or other images to any area of your vehicle, including your bumper, tailgate, hood, side panel, door. Vinyl lettering is an ideal option to complement your vehicle graphic, allowing you to display your business name, contact information, and any slogan you have! 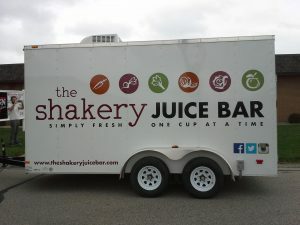 Vinyl graphics and lettering are a budget-friendly option for anyone who wants to share minimal information or make frequent changes to their marketing message. As your local full-service sign company, ImageTEK Signs & Graphics handles every aspect of the vehicle graphics process, including design, fabrication, installation, repair, and maintenance. We begin with a free consultation where our expert vehicle graphics consultants discuss your visibility and marketing goals. This early insight allows our staff to make appropriate recommendations regarding your project, with a focus on durability, longevity and ensuring your project meets your timeframe and budgetary needs. Once we understand your ideas, goals, and needs, our designers can begin developing the perfect vehicle graphics solution. We can work with any existing branding guidelines, files, or creatives you have, or start from scratch! Once we have developed a design that we feel matches your vision, we will present a digital “mock-up” of your project for you to view and edit as needed. This allows you to control what goes into your vehicle graphics and enables you to modify everything from the design itself to where it hits your vehicle. After any edits are made, and you’ve approved your final project, our talent fabrication team will begin working quickly and efficiently to craft your graphics solution. 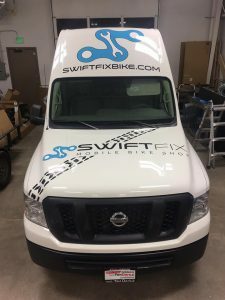 Finally, our professional vehicle graphics installation team will then install your graphics to your vehicle, ensuring that your project is free of bubbles, warps, ripples, and tears. After all, your graphic, we want you to be as proud to cruise around in the finished product as we were to craft it! At ImageTEK Signs & Graphics, we are just as passionate about our clients as we are about crafting the perfect vehicle graphics for them. Our goal is to become your sole provider for not only vehicle graphics, but for all of your signage needs. 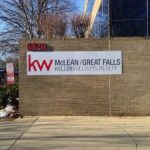 We create beautiful interior signs, exterior signs, storefront signs, lobby logo signs, and more! So when you are looking for a dependable signage shop that can handle all of your personal and business signage needs, ImageTEK Signs & Graphics is the right choice! Call ImageTEK Signs & Graphics today at (201) 351-8755 for your Free Consultation with a Vehicle Graphics Expert!